I have an allergy to hype. I know, that’s an unfortunate condition given that I’m in the field of marketing technology. It’s like being a lactose-intolerant maitre fromager. Luckily, the symptoms are relatively mild — mostly involuntary rolling of the eyes and rapid finger-twitching on the delete key. But I also have an addiction — I admit it — to stories of how marketing is changing. Not the hypothetical, buzzword-laden promises of change that surely flood your inbox, too. But genuine, in-the-trenches change being forged — hammer and tongs — at real companies. How are mortal marketers wielding all this dizzying new technology to reach and delight ever-more-empowered customers in ever-more-disruptive markets? Those are the inspiring non-fiction stories that I’m addicted to. So in programming the MarTech conference series, I’ve selfishly tried to avoid my allergy and indulge my addiction. But my hope is that such a pragmatic, vendor-agnostic conference at the intersection of marketing, technology and management will be valuable and appealing to you, too. Here’s what you can expect at MarTech in Boston, October 2–4. Earlier this month, I wrote a draft of a “martech manifesto” called The Grand View of MarTech (I’d love your feedback on it, if you have a chance). In it, I suggest that what is happening in our field is far greater than the overlap of marketing, technology and management in some narrow definition of “martech” as a discipline (e.g., “Go talk to Taylor on the martech team to fix the website”). 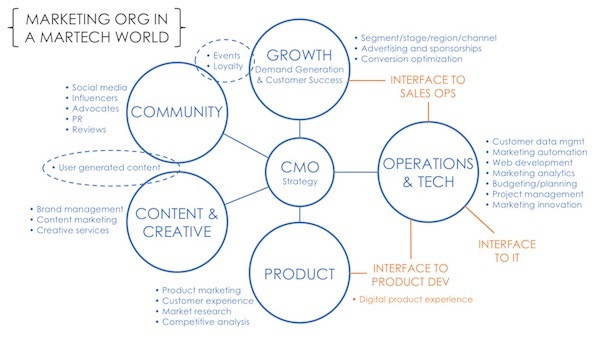 In the grand view, marketing, technology and management are becoming inseparable. How you build and operate your technology-powered capabilities impacts your marketing. How you manage your organization, adapting process and structure to a world of software dynamics, impacts your marketing. Marketing strategy today depends on the technical and managerial innovations you can bring to life to realize your vision. The keynotes at MarTech were selected to give you a real-world perspective on this “grand view,” which I believe will help shape the way you make martech effective in your own organization. I’ll begin the morning of October 3 with results for our study on Marketing Organizations in the Age of Martech, as well as lessons learned from The Stackies: Org Edition awards program (more on that in a bit). The goal is to share patterns of organizational capital that are emerging across a wide variety of businesses to harness the power of marketing technology. But while industry-wide research is helpful to understand the overall direction in which marketing organizations are headed, aggregate data can’t express what it’s like to navigate these changes in a real organization. 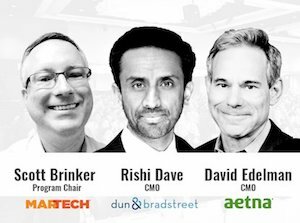 For that, I’m thrilled to have two superstar CMOs — David Edelman of Aetna and Rishi Dave of Dun & Bradstreet — join me for back-to-back fireside chats to discuss the marketing transformation they’ve each led at their companies. David, who previously was the global co-leader of McKinsey’s digital marketing strategy practice (and an early champion of agile marketing), has helped reshaped dozens of organizations to adapt to the new possibilities enabled by rapidly advancing technologies. In our keynote chat, he’ll share how he’s led that mission at Aetna with a focus on designing personalized experiences for customers and partners based on their lifetime health journey. He believes healthcare is in the early days of a revolution, particularly in the area of digital engagement and brand loyalty. David’s experience will have lessons for anyone navigating big, technology-triggered change in their own marketing organization. Rishi and I will then continue that conversation in the context of B2B marketing — although Rishi will explain how “consumerization” of the business buyer’s journey increasingly parallels the digital dynamics in consumer marketing. Rishi will describe how Dun & Bradstreet has rearchitected its marketing department’s Golden Triangle — people, process and technology — to thrive in this new environment. 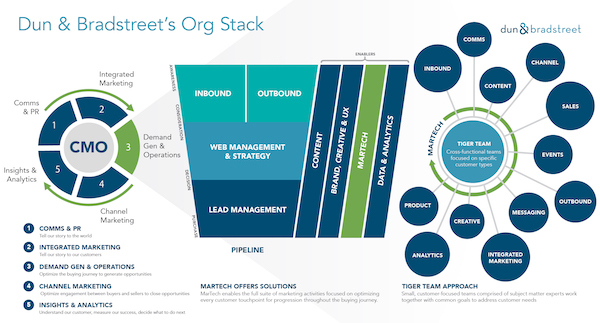 For a sneak peak, check out Dun & Bradstreet’s marketing “org stack” that Rishi recently shared with us. 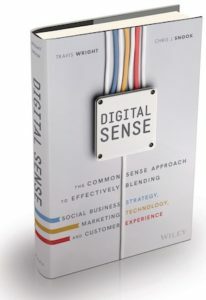 On Wednesday, October 4, we’ll begin the keynote block with a lightning-like presentation by martech consultant Travis Wright, author of the terrific book, “Digital Sense,” and one of the smartest (and funniest!) voices in marketing. 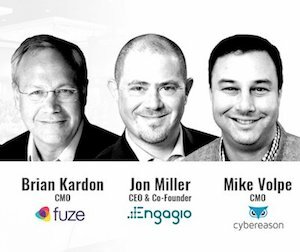 Next, I’ll moderate a fireside chat with three of the pioneers of the martech industry: Brian Kardon, the CMO of Fuze; Jon Miller, the CEO of Engagio; and Mike Volpe, the CMO of Cybereason. While each of them is leading a fantastic organization today, you might also recognize them as the marketing pioneers of the martech industry — previously, Brian was the CMO of Eloqua, Jon was the CMO of Marketo, and Mike was the CMO of HubSpot. For the first time ever, these three former archrivals will share the stage in a candid conversation about the evolution of marketing technology over the past decade — what they expected, what has surprised them and where they see things headed. 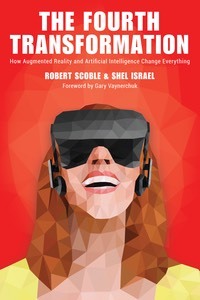 Our final keynote will be from Robert Scoble, author of “The Fourth Transformation,” who will present The Next Two Clicks of Moore’s Law — Augmented Reality and the Future of Marketing. But this future isn’t very far away. Apple and Facebook have revealed their augmented reality strategies, which means your business needs one, too. Robert will share the best from his travels visiting R&D labs, startups and innovators around the world. He’ll inspire you with a new generation of amazing customer experiences that aren’t science fiction; they’re arriving right now. With the shared foundation of these keynotes, the rest of the educational sessions for each day will divide into three tracks: marketing, technology and management. While all share the view of a powerful entanglement between those disciplines, each track will dive more deeply into their respective strengths and contributions to the whole. The Marketing Track will focus how marketing technology is being successfully applied in a wide range of companies and markets — as shared by the executives actually running these programs. The “how” without the hype. Ryan Scott, VP of digital operations and innovation at Keurig Green Mountain, will describe how they leverage a multivendor martech stack to deliver customer engagement from pre- to post-purchase, using contextual email and real-time engagement on Keurig Green Mountain’s website and beyond. Frank Bifulco, who led Staples as CMO in their adoption of new marketing technology, along with Mark Pickett, senior director of customer analytics, will share how Staples planned and executed an innovative martech roadmap. They’ll discuss role reversal between marketing and IT, how they used martech to enhance and connect the customer journey, and how they established an entirely new discipline at the company under the martech banner. Steve Lok, the head of marketing and technology for global digital acquisition at The Economist, will explain how, as part of its personalization efforts, The Economist chose a customer data platform (CDP) and adopted a hub-and-spoke model to integrate its marketing technology stack. Customer profiles are built by integrating behavioral data (from website visits, email engagement and more), and then the company applies data science and machine learning to determine which messaging will work best with each customer at any given moment. Anuj Agrawal, the CMO at Earth Networks, will examine martech’s impact on two metrics – customer acquisition cost (CAC) and lifetime value (LTV). You’ll learn how your choice of segmentation impacts your ability to raise LTV, ways to customize the prospect experience to build value during the sales process, tricks during the new customer onboarding process to get them hooked, and intelligence-gathering techniques to expand your upsell rate. Bertrand Vandewiele, senior director of marketing at Philips North America, and Randy Delgado, senior director and global lead of strategy at CMG Partners, will share their case study of building a clear approach to global and regional technology investment, adopting agile principles to build quick test-and-learn sprints, and rapidly applying martech to identify over $15 million in e-commerce revenue potential. Ryan Kelly, VP marketing platform at GoDaddy, will share how they built a custom, state-of-the-art engagement platform that enabled the company to redefine its marketing strategy. You’ll learn how they overhauled their marketing stack, how they organized new capabilities and pulled in the right talent to successfully execute, how an “open garden” approach enabled true omnichannel marketing in a very complex environment, and what it really took for an organization as complex as GoDaddy’s to make this happen. Steve Gogolak, VP digital marketing and client experience at Boston Private, will share how he and his team conceived a content marketing strategy, implemented all of the technology to facilitate it and built the engine to continuously generate content, all in less than three months. He’ll dive into the details of what works and what didn’t, from sales participation to sourcing the right vendors, to building the stack, to closing the loop on ROI. Kyle Duford, global VP of digital and e-commerce at Dr. Martens, will describe how they achieved success in personalizing experiences for customers on their e-commerce site, in email marketing and in online advertising. He will delve into specific use cases such as targeting win-back campaigns based on email activity, sending upsell offers for accessories based on recent purchases, directing web visitors to product category pages they’ve shown interest in when new products are released, and running remarketing campaigns on Facebook that offer shoe care accessories to recent boot purchasers. Donna Sammander, director of marketing technology at Sharecare, will show you how they generate thousands of data points regarding an individual’s lifestyle and health — and how data gathered by their platform builds the organization’s understanding of the subscribers’ health journeys as patients, caregivers and health professionals. You will learn how they use A/B/N testing on engagement to optimize content and delivery of current campaigns and how they approach large-scale initiatives like this in measured increments. Michael Becker, managing partner at mCordis, will close out this track with a fascinating look at The Rise of The Personal Data Economy and Me2B Marketing & Business Models — how the untamed big data economy, the inspirational digital sovereignty economy, and the emerging personal data economy can and will coexist in the same riverbed of people-engagement for years to come. He’ll share strategies and frameworks you can leverage today to ensure you’re prepared. The Technology Track will examine some of the latest innovations that are changing what’s possible in marketing — and dig into how companies are managing the process of selecting, adopting and operating these new systems and services. Martech analyst extraordinaire David Raab, founder of the Customer Data Platform Institute, will present Self-Driving Campaigns: What’s Real vs. Hype vs. Next. He’ll take a hard look at who’s involved in AI-driven campaigns, the challenges of executing those tasks, what’s actually being done today and what might be done tomorrow. You’ll come away understanding how to factor AI into your own technology plans and avoid dead ends. Tony Byrne, founder of the Real Story Group, will deliver a powerful antidote to hype with a presentation on The Right Way to Select Marketing Technology. He’ll show you how to justify and craft a more empirical approach to technology selection and decision-making, how to properly test-drive technology in realistic situations and how to avoid key pitfalls in the process and negotiate the best possible deals. 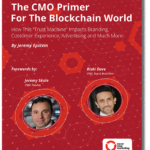 Jeremy Epstein, CEO of Never Stop Marketing and author of “The CMO Primer for the Blockchain World,” will explain how blockchain is not some far-off technology but is quickly affording CMOs the opportunity to demonstrate a clearer ROI than many current alternatives in ad tech, loyalty programs, social content and “pay for attention” market research. Steve Sirich, general manager of the global search ads business at Microsoft, will present Intelligent Agents — From Queries to Conversations to Actions, How AI is Changing the Face of Marketing. He’ll discuss how search is moving from text queries to conversational dialogues with digital assistants that can intercede and engage on our behalf, and what that means for the future of brand and consumer marketing. Another über martech analyst, Gerry Murray, research manager at IDC, will present the latest findings from IDC’s “Next Tech” survey of marketing technologists. The data reveal differences in martech design and spending based on key business drivers and marketing missions. He’ll also discuss tech stacks and roadmaps for different segments and select verticals and present IDC’s methodology for determining fitness between potential technologies and business requirements. Anita Brearton, CEO of CabinetM, will lead a panel on marketing stacks with Jeff Harvey, director of marketing technology at Red Wing Shoes; Laurie Klausner, VP worldwide marketing at Entuity; and Shiva Vannavada, CTO at iCrossing. You’ll hear first-hand how these companies aligned their stacks with business objectives, addressed the organizational challenges associated with driving stack strategy, selected the right anchor platforms for their environment, managed (or failed) in integrating key components of their stack, dealt with key challenges and planned for continued stack evolution. Shawn Goodin, chief marketing technology officer at JPMorgan Chase, will present on Creating Next Level Customer Experiences: Why Good AI Requires Great IA. He’ll explain how good “information architecture” is essential to implementing effective machine learning features in sales and marketing experiences. Holly Rollo, CMO of RSA Security, will tackle the critical subject of Digital Marketing and Cybercrime: What Every Marketer Should Know. You’ll hear examples of security breaches (such as the one experienced by the DNC) that gained entry through marketing, understand how to execute cross-collaboration between security and marketing leaders and learn security best practices for evaluating martech vendors. Dave Edwards and Helen Edwards, co-editors of Quartz AI, will share original consumer research and user studies on how best to apply artificial intelligence across a variety of different customer touch points. They’ll discuss the key technologies you need to understand, the most exciting use cases, and how machines will affect your human employees. Davor Sutija, CEO of Thinfilm, will close with a presentation on Extending the Benefits of Digital to the Physical World. He’ll examine a range of omnichannel marketing technologies that link products and places (stores, stadiums and more) in the physical world with the personalization and analytics capabilities of the digital domain through beacons, RFID and NFC. You’ll learn how these technologies can make physical spaces and products come to life. The Management Track will address the organizational and strategic challenges in making marketing technology truly successful. 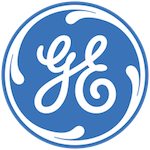 Neenu Sharma, VP of marketing strategy and operations at GE Digital, and Sam Melnick, VP marketing at Allocadia, will present How a $1B Startup Runs Marketing to Lead Digital Transformation. Neenu will share her journey orchestrating the right mix of marketing technology, processes and operations to scale a nascent business unit to reach aggressive revenue targets — and how her global team overcame siloed, disconnected marketing data to gain control, visibility and efficiency. Justin Sharaf, director of marketing operations at LogMeIn, will lead a panel of experienced martech executives from a variety of different companies to explore the pros and cons of different management structures for marketing technology — A CMO, CIO, and CMTO Walk into a Bar: Who Orders, Who Drinks, and Who Pays? You’ll learn different options for the governance of martech that you can adapt for your own organization. Laura Patterson, president of VisionEdge Marketing, will present How to Implement Best-in-Class Processes, the Foundation of Your Marketing Operations. She’ll describe six roles and associated processes and capabilities that consistently surface among best-in-class marketing-ops functions, with examples from many customer case studies. Cynthia Gumbert, head of marketing at Markforged, will provide career insights into how she made the leap from a chief marketing technologist to a chief marketer. She’ll share key learnings and suggestions for bridging from the martech team to the C-suite: what no one cares about and what everyone cares about, calibrating your pace of change with the pace of your business, and how to turn your martech background to your advantage in leading the broader marketing mission. Clay Stobaugh, EVP & CMO at John Wiley & Sons — the wonderful publisher of my book, “Hacking Marketing,” I should add — will provide insights from the perspective of a 209-year old publisher that has stayed relevant and successful in the digital age by adopting ROI-driven marketing strategies. Hear an entertaining recap of the evolution John led of “Mad Men” into performance and ROI-driven marketers. Erica Seidel, executive recruiter and CEO of The Connective Good, will lead a fascinating discussion with Jay Wilson, the SVP of marketing platforms and services at Healthgrades, and Correy Honza, their recently hired director of marketing technology. Get an inside, 360-degree view of the search and hiring process for Correy’s role. They’ll reveal how they scouted — and sold to — great martech talent, which interview questions and assessments they used to evaluate hard and soft martech skills, how aspiring martech leaders can distinguish themselves in a recruiting process and how to onboard a new marketing technologist into your organization. Victor Misawa, SVP global marketing at Newell Brands, and Olaf Lenzmann, CTO at Market Logic Software, will reveal how Newell Brands manages their innovation pipeline and pursues astute acquisitions using a “New Growth Game Plan” system to ensure that insights are systematically used in marketing and innovation decisions and that all players are aligned in transparent governance processes. Shawn Kanungo, senior manager at Deloitte Digital, will discuss The 0 to 100 Effect of high-speed change that organizations must learn to master. He’ll show how organizations can adapt to this accelerated clock speed by structuring ways to experiment with technologies and business models at the edges of their markets. Jeff Eckman, CEO of Blue Green Brands, will lead a session with Mark Paich, senior lecturer at the MIT Sloan School of Management, and Sai Ravela, principal research scientist at the MIT Department of Atmospheric and Planetary Sciences, will explain why the time is right for marketing to draw on the benefits of a powerful, analytical and prescriptive discipline of system dynamics. You’ll understand what system dynamics is and how it can be applied to marketing, gain a new tool for understanding and optimizing complex marketing environments and learn how system dynamics relates to AI, machine learning and optimization for exponential growth. These are going to be two fully packed days of graduate-level sessions on modern marketing. In addition to the educational content of the program, these three days of MarTech will provide a number of opportunities for community-building and networking with peers and vendors. We’ll kick off MarTech on the evening of October 2 with an opening reception and an awards ceremony for The Stackies: Org Edition, sponsored by Workfront. You may be familiar with the previous Stackies awards we’ve run — the “tech edition” of them that encourage practitioners to share their marketing tech stacks. The Stackies: Org Edition for Boston is encouraging people to share slides of their marketing “org stacks” — how they structure and manage marketing in a martech-powered age. We’re expecting some fantastic people-process insights to be contributed from the community. And all submitted “org stacks” will be shared with everyone — you’ll be the first to see them at the ceremony — so we can learn from each other’s experience. For every entry to The Stackies: Org Edition, we’ll also contribute $100 to Women Who Code, up to $10,000. After we celebrate some of the best org stacks at the awards ceremony, you’ll have a chance to mingle with hundreds of digital leaders and experts. These connections and conversations with peers, who are wrangling the same challenges that you are, can form professional bonds that will help you long after the conference is over. MarTech is a vendor-agnostic conference. It’s produced independently by Third Door Media — not a martech vendor — and they firmly believe in the separation of editorial and sponsorship. 1. There are absolutely no “pay to speak” arrangements with any vendor for sessions in the editorial program that I described above. As the program chair, I select speakers solely based upon the quality of their content and what I believe will deliver the most value to the audience. You shouldn’t have to parse veiled (or not-so-veiled) sales pitches from program stages. 2. Any martech-related vendor can sponsor or exhibit at the conference. There is an amazing array of innovative marketing technology vendors in the world today, and with an independent conference, there’s no competitive filtering or restrictions as with a vendor-owned event. You can hear candidly from any of them. MarTech is a truly level playing field. Click here to see the terrific set of marketing technology vendors who will be at MarTech in Boston to meet with you and show you new capabilities that you may not have even known were possible. Because many of our attendees share my allergy to hype, most exhibitors at MarTech go out of their way to dial it down and dig into meaty discussions of exactly what they can do and how they do it. There will also be sponsored breakfast and lunch sessions by companies such as Workfront and BlueConic, another open networking reception on the evening of October 3 sponsored by Treasure Data and a parallel series of presentations in a Solutions Track by LookBookHQ, Seismic, SnapApp, Marchex, Informatica, SOCi and AirPR. These sponsors work very hard to win your interest and attention by making their sponsored sessions educational, too. The very first MarTech conference was held in Boston only three years ago, in August 2014, and I’m incredibly excited that we’re bringing it back here this fall. From the outset, MarTech was conceived to be a place where executives and practitioners in marketing, technology and digital roles could come together to rise above the hype of marketing technology and learn from real stories of marketing change from their peers and industry experts. We’d love to have you participate in this next MarTech, October 2–4, in Boston. The beta rate for tickets expires August 26. Register now to reserve your seat and save $250. I hope to see you there!